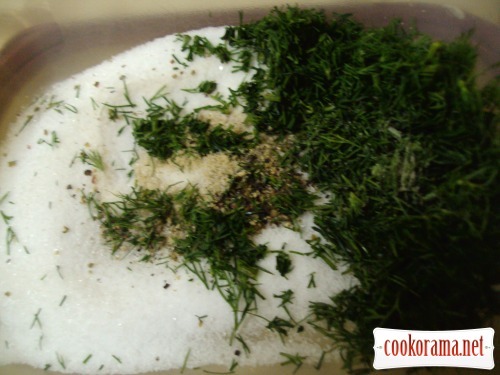 Mix dry ingredients thoroughly and roll the fillets. 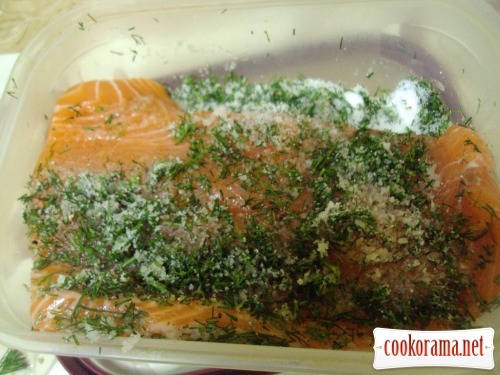 So spices could completely stick around the fish. 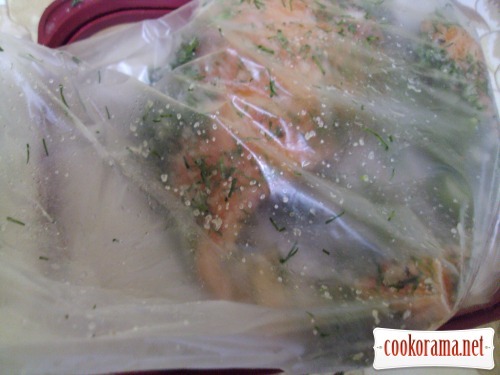 Pack salmon in food plastic bag. Inflate it and tie (like a balloon). 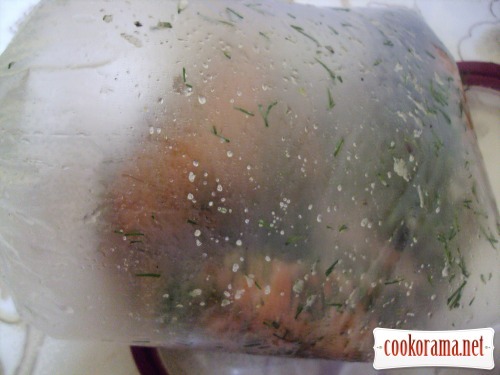 Send the package with the fish in the freezer for 2 hours. At this stage, the fish can be safely served to table. 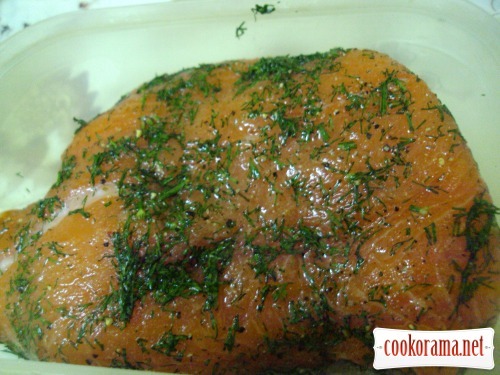 Salmon fillet (whole) put in a container. 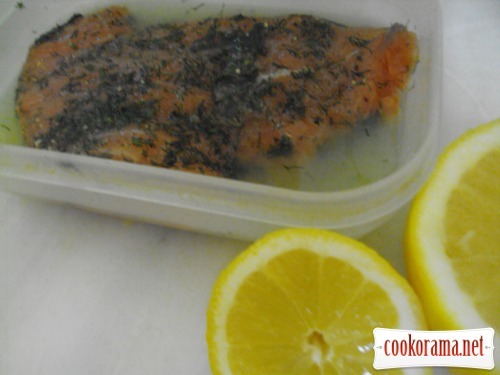 Pour with citrus fruits juice, close tightly and refrigerate for 2 hours. 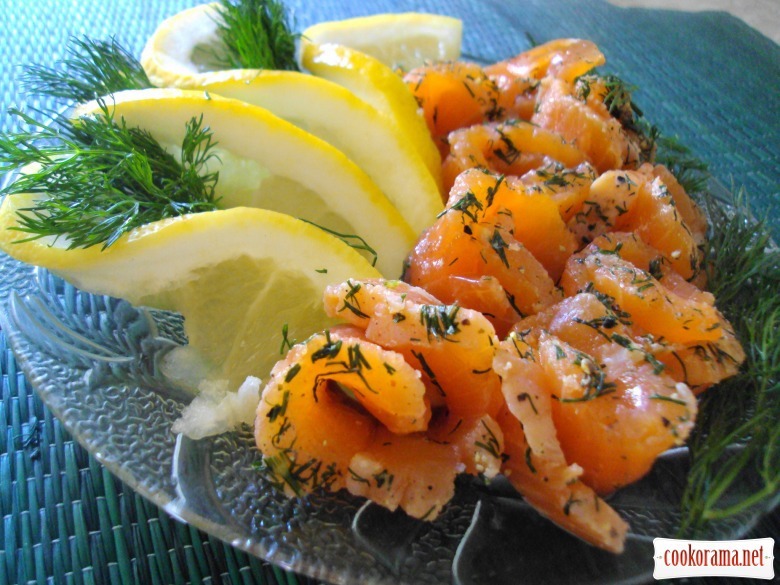 Cut into thin slices and serve with grapefruit. 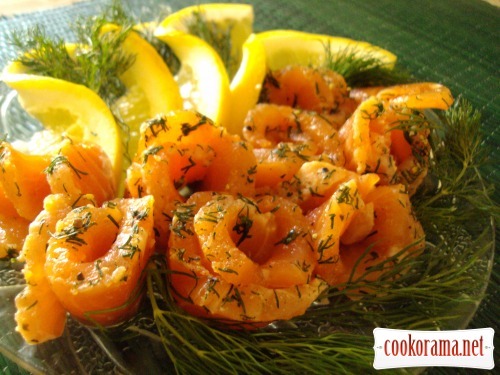 Top of recipe "Spicy salmon"
Не дивує, що така реакція… Остання фотка це просто супер! Смачнисимо , спасибки за рецепт . хочу таку рибку вже і зараз !!!!!!!!!!!!! ти обоВ«язково приготуй!!! вже сама переконалася, що куплена це не те ! Для чего надувать пакет? Спасибо.